Why does it matter? 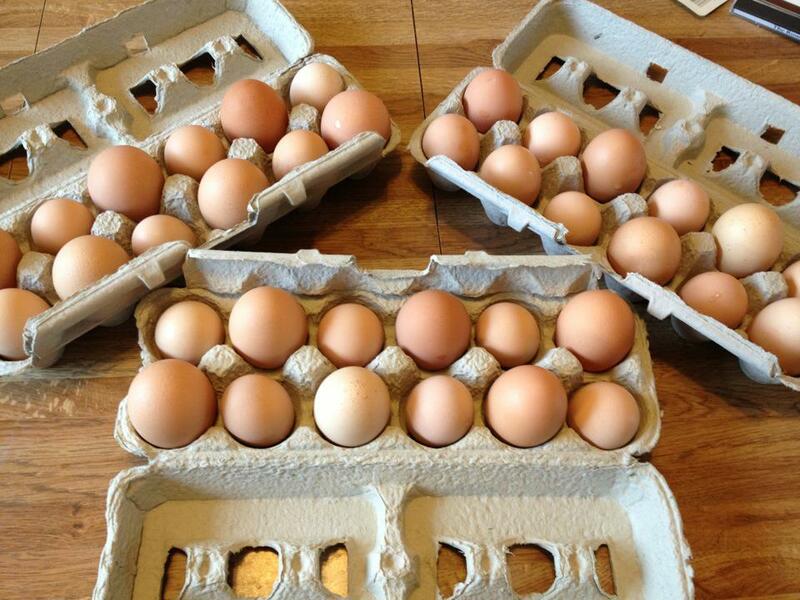 Well if you want to have fresh eggs, it matters. Several things are necessary for a hen to lay. For instance, did you know that chickens need light in order to lay their eggs? They need at least 14 hours of daylight, and that just doesn’t happen up here in the north at this time of the year. So we provide the next best thing and hang heat lamps in the coop to give them light and . . . um . . . heat. This keeps them warm through the cold winter months and keeps them laying. Unless they’re molting or too old. A few of our first flock of chickens. This picture was taken when they were in their prime–about two years old. They are now over five years old. Some of the hens are still laying! 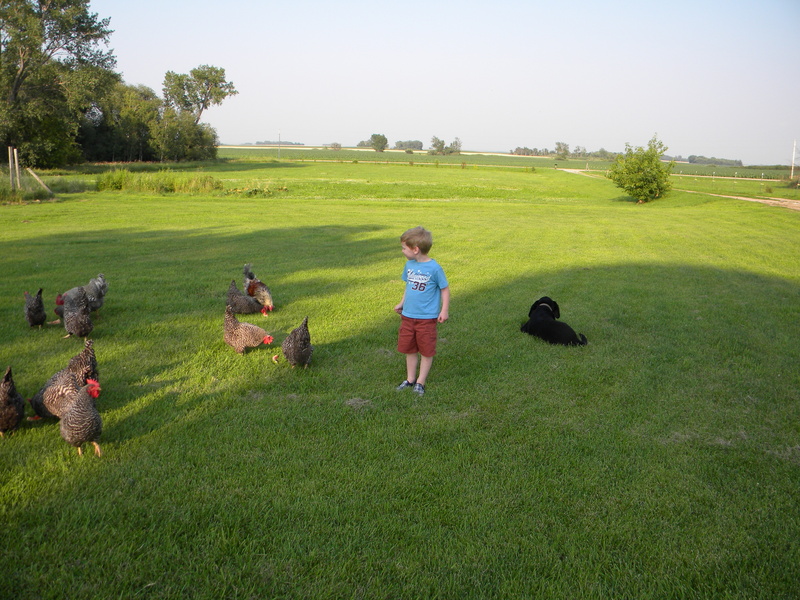 The first year we raised chickens, I did a lot of reading about what to expect. 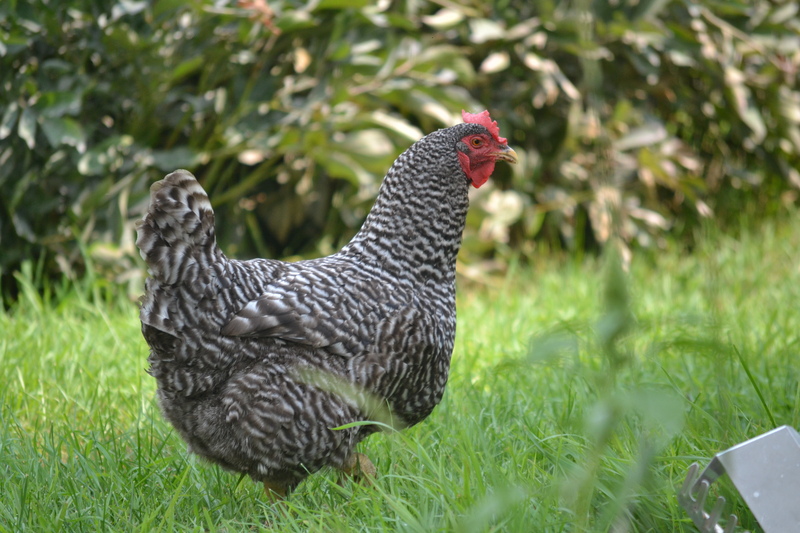 One of the things I learned was that chickens have life-spans of 5-8 years but that by the time they become senior chickenzens they aren’t laying anymore and should probably be culled for the stock pot. In order to tell which hens weren’t working for their feed anymore there was a non-invasive way to measure their pelvic spread (I decided right then that THAT wasn’t going to happen!) over a two-week period. Besides the fact that this seems to be getting into their personal space a little too much, we have about 50 hens. Can you imagine trying to keep track? No, “The Ladies” (which is what I call my hens) would lay until they “retired” and then they would be allowed to live out their lives in continuing peace and freedom until they bought the farm (sorry, couldn’t resist). 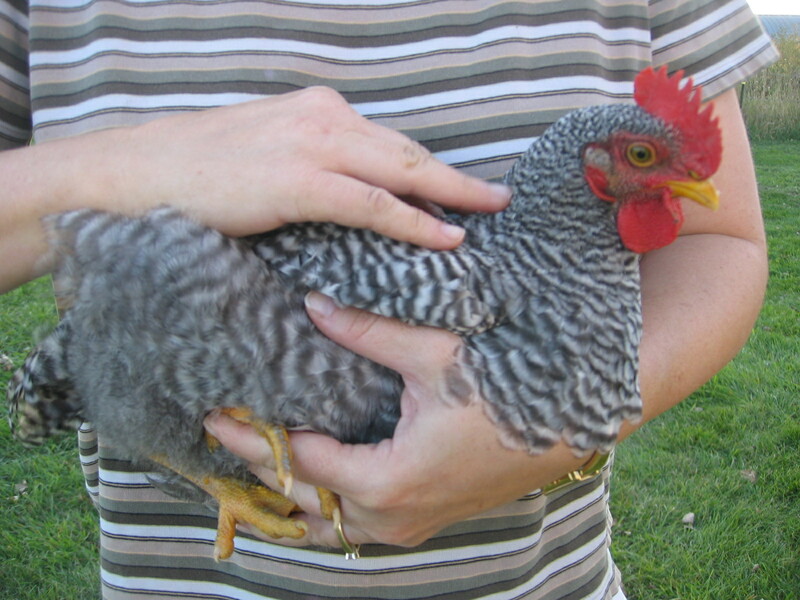 This is a teenage chicken! She’s just a few months old, still growing, and hasn’t started laying yet. And that’s how you tell a chicken teenager from a chicken grandma. The Newest Members of the Coop are Now Laying! My little ladies are all grown up! 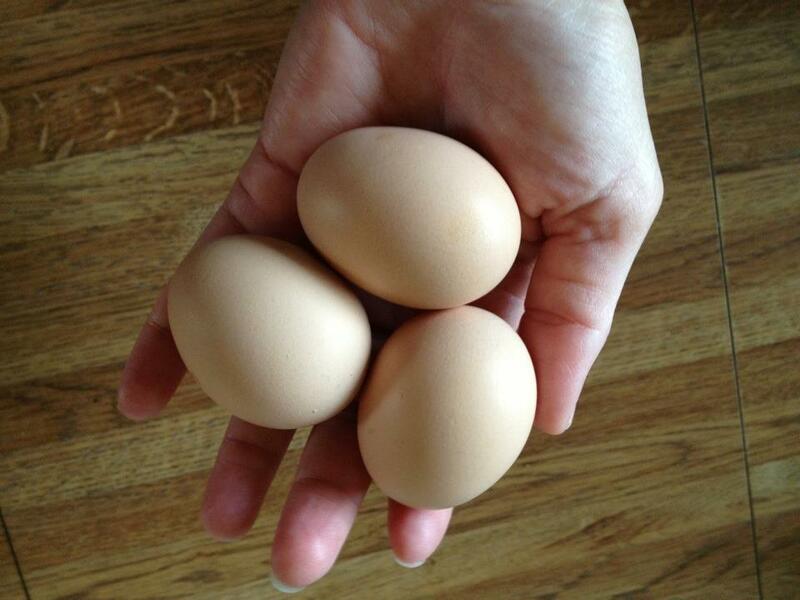 The little balls of down that arrived at our farm in late April are now the same size as the other hens in the coop and every day I’m gathering more and more small eggs. They look perfect, don’t they? Visions of omelets and quiches are flashing through your minds, right? Let’s put them in perspective now. 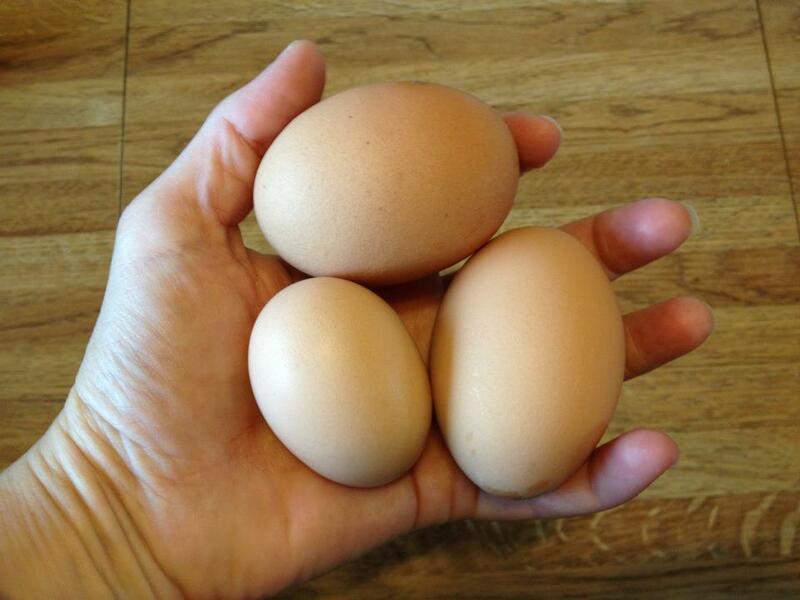 This is a picture of one of the little eggs with two jumbo-sized eggs. Here’s how it works, out here on the farm. About six months or so after the chicks hatch, they finally begin to lay. They might start out slow, maybe an egg every few days, but it’s not long before they are laying an egg a day. These little eggs begin to show up in the nest boxes, and I love it. They’re small but perfect. 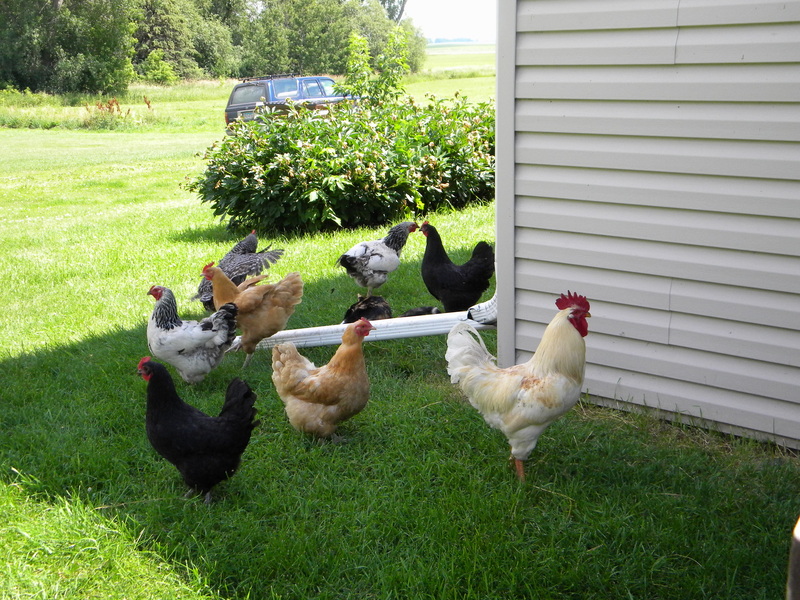 Here are a few of my hens and their protector–the white rooster on the right. The Deceiver: This Happened at Our Church Yesterday! Our small mission church was scammed yesterday by the lawbreaker in this article. He sat through our church service and communed with us in both the Lord’s Supper and in our fellowship meal afterward. He knew exactly what to say to seem credible and I am passing on this information in the hopes that it won’t happen to any other church. This man needs to be caught. Our pastor is filing a police report. It’s so sad that men like him betray our trust and make it harder for us to believe others–including those who could truly use our help.